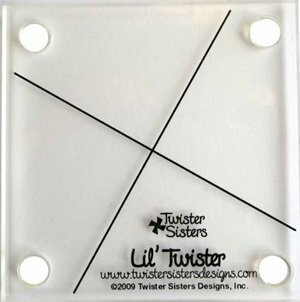 This fun Lil' Twister is perfect for 5" charm squares, or cut up your stash into 5" squares. Tool measures 3-1/2" square and makes 6" finished pinwheels. Includes table topper pattern.